Green Street was once called Green Lane and was anciently known as Bridge Lane. There was apparently a foot bridge that crossed the river, where the Island in the middle of the span on which the present bridge stands. 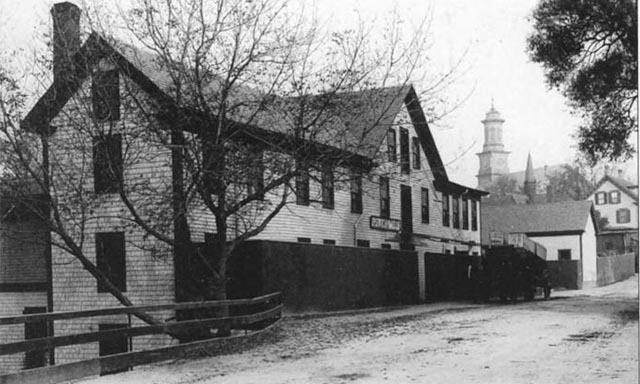 County Street, or Cross Street, as it was called, originally terminated at Green Street, and all travel from North or East toward Hamilton passed up Green Street, past the churches and back down Town Hill and over the Choate Bridge. In 1860, Ira Worcester and others of Ipswich, Hamilton, Wenham and Essex, addressed a petition to the County Commissioners, characterizing this route as “very circuitous and hilly and otherwise inconvenient,” and affirmed that “vast quantities of heavy material such as granite, coal, timber, lumber, lime and hay” passed over this roundabout road. 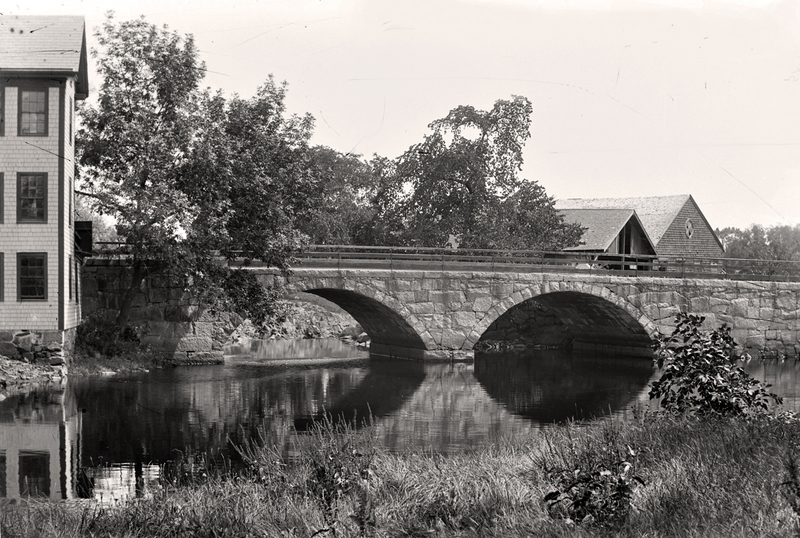 They asked that a way be laid out over the land owned by the County and then by a bridge over the river to Mill Street, as the section of County St. from the river to County Rd. was then called. 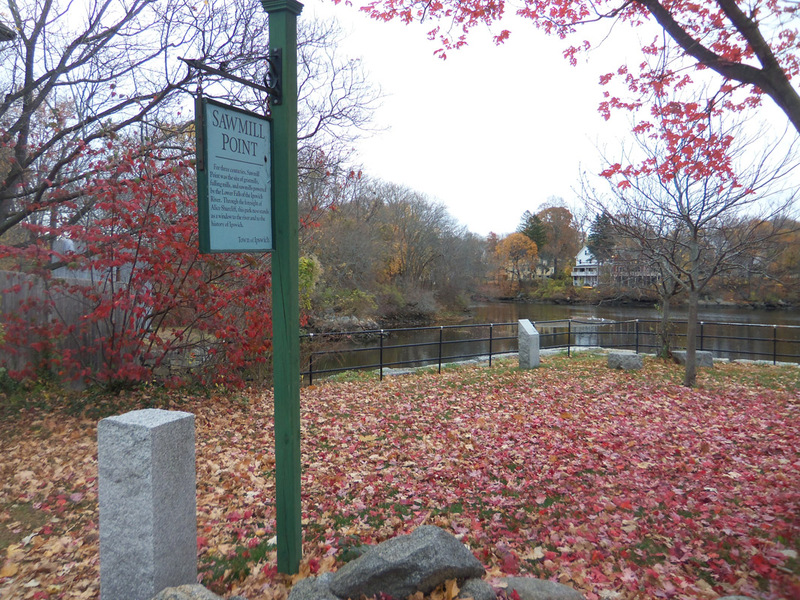 The County Commissioners laid out the new road on March 5, 1861, and the Town voted on March 11th to build the road and bridge. The following story is from Ipswich Yesterday by Alice Keenan, written in 1982. What a difference! This old photo shows how County Street was once a town industrial center. 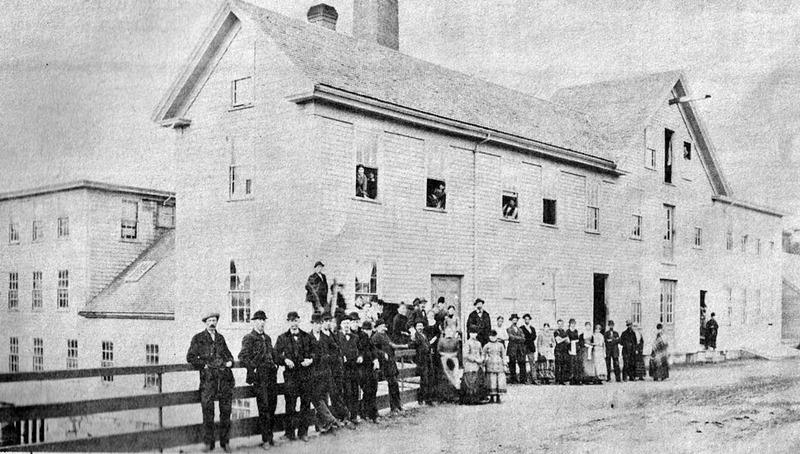 Eventually the Lower Mill burned down and others closed their doors. Pictured in the background is Turkey Shore Road with Heartbreak Hill in the background. 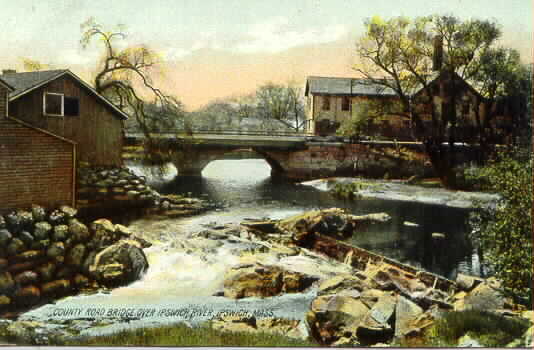 The County Street bridge, in center, was built in 1860. When we first viewed this picture some years ago we must admit it was a complete puzzlement to us until we discovered the faint lettering that told us it was the Lower Mill on County street. In the background is Heartbreak Hill, totally devoid of trees and not looking at all like the Heartbreak Hill of today. 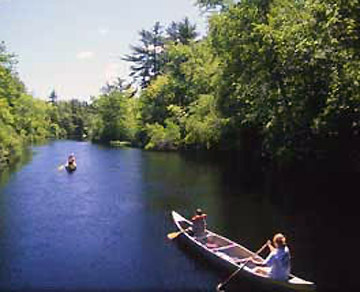 In this view from downstream, remnants of the dam on the right still exist. 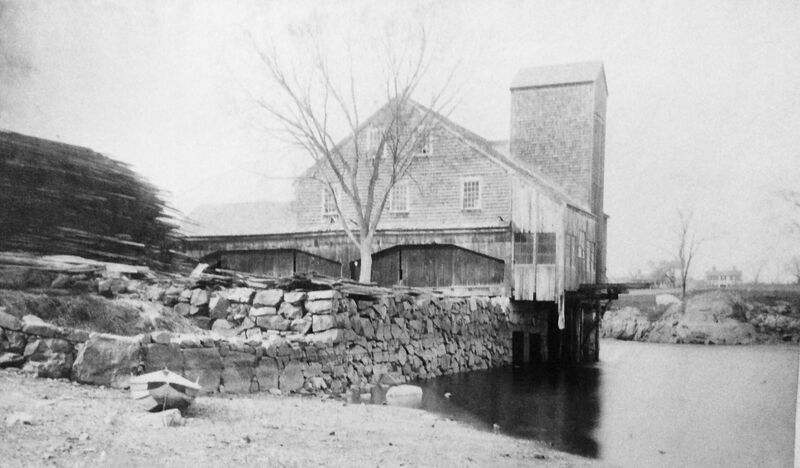 The sawmill is on the left and the Woolen Mill sits on the other side of the bridge. 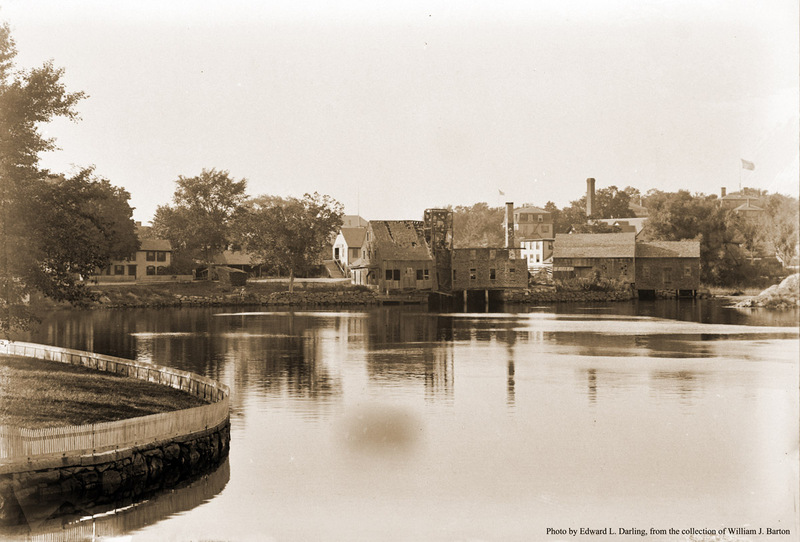 When the County street bridge was built in 1860 it joined together Cross and Mill streets, which then became County street, and completely obliterated “Falls Island” which stood in the middle of the river and had always been a busy center of industry since Robert Calef built the first grist mill in 1715. 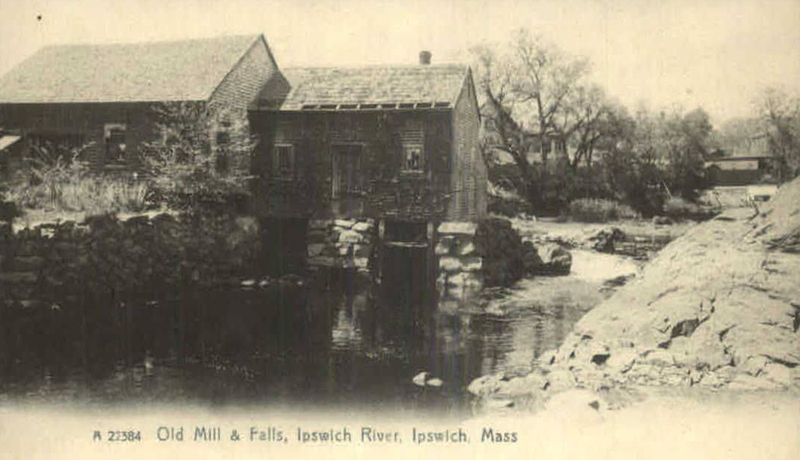 Fulling, saw, grist and woolen mills flourished, and by the time this picture was taken, Amos Lawrence and his Ipswich Mills had taken over the Woolen Mill, expanded it, and that along with the several small enterprises across the street: saw, box and veneer mills, owned and operated by the locals, made this now residential area a very busy and noisy place. 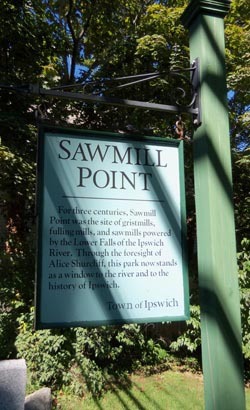 In time the mill burned down, the smaller mills closed their doors, and all that’s left to remind us of that long ago time are the three small houses, facing Elm street, and standing more or less on what was Fall’s Island. 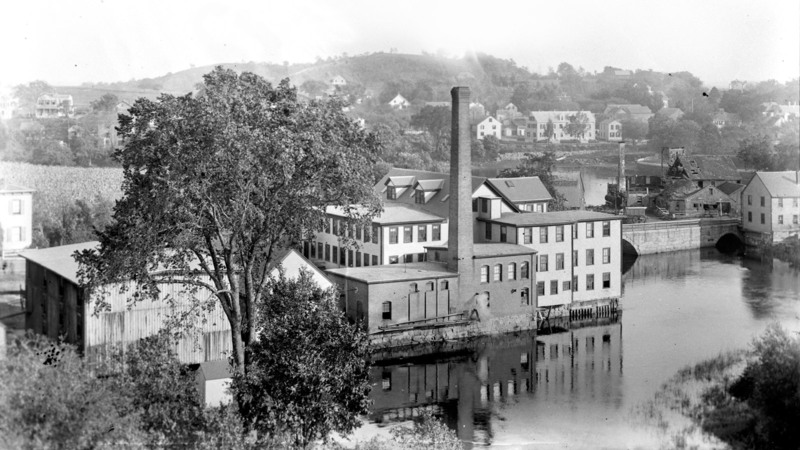 The Woolen Mill was at the northwest corner of the County Street bridge, but burned down.